Venezuelan President Nicolas Maduro is expected to speak at Venezuela’s Supreme Court Thursday, a day after he gave US diplomats 72 hours to leave the country in response to US support of opposition leader Juan Guaido. The head of the National Assembly declared himself acting president Wednesday as anti-government protests rocked Venezuela and just weeks after the start of Maduro’s second term in power. 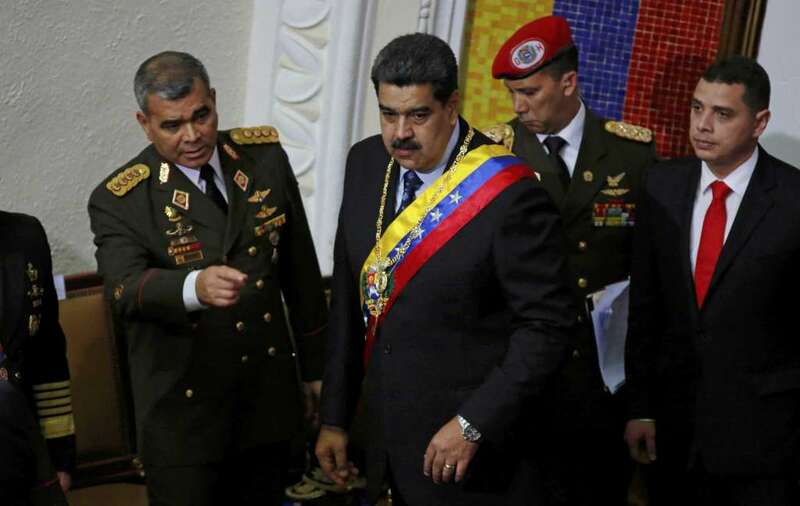 On Wednesday, hours after President Donald Trump officially recognized Guaido as the country’s legitimate president, a defiant Maduro appeared before supporters to accuse the United States of backing an attempted coup. The US is one of several countries recognizing Guaido as Venezuela’s leader. Maduro announced that he was cutting remaining political and diplomatic ties with Washington. Guaido and his supporters have accused Maduro’s government of “usurping power” and called for new elections. Ten people died in nationwide protests Wednesday, Marco Antonio Ponce, executive director of the local NGO Observatorio Venezolano de Conflictividad, told CNN. United Nations Secretary General, Antonio Guterres, has stressed the need for dialogue in Venezuela to prevent “a total disaster” in the country. Maduro addressed a sea of supporters wearing red — symbolic of the government’s socialist revolution — from the balcony of the Miraflores presidential palace. He recounted a long history of “gringo interventions and coups” and said that only Venezuelans can elect and remove their government leaders.